Professional LED Fresnels for television studios and video productions. The Dayled 1000 Dual Color are revolutionary LED Fresnels with high colour rendering index (CRI > 92, TLCI > 94) and high luminous efficiency. Powered by a Powerled with a mere 110 W consumption, they generate an even and beautiful light emission. The precise internal mechanism and the Fresnel lens (traditional lens in borosilicate glass) with which they are equipped allow you to control the light beam - from spot to diffused - for all different shooting requirements. 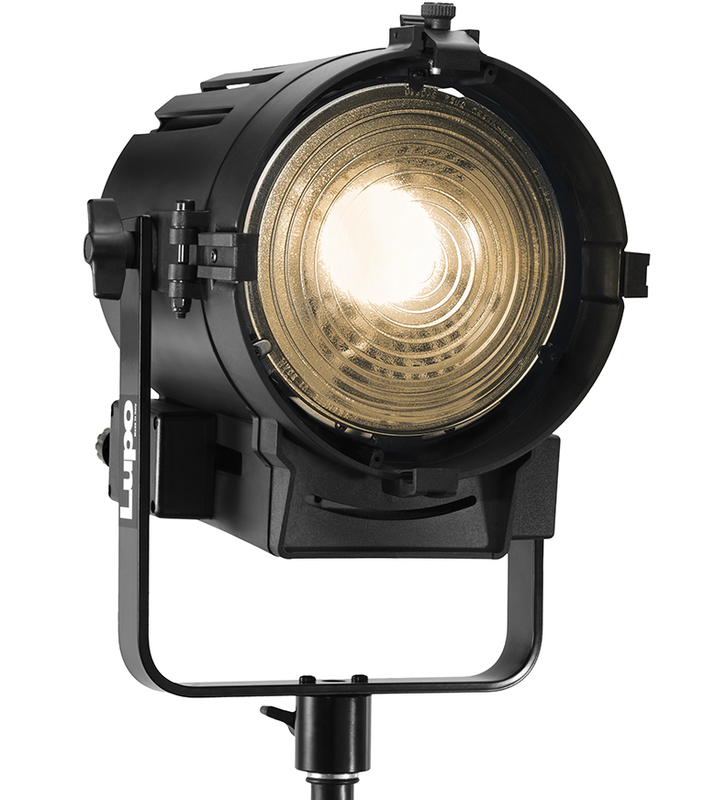 The optical and mechanical features of the Dayled 1000 are reliable and traditional, in line with those of the tungsten Fresnels found in television studios around the world. 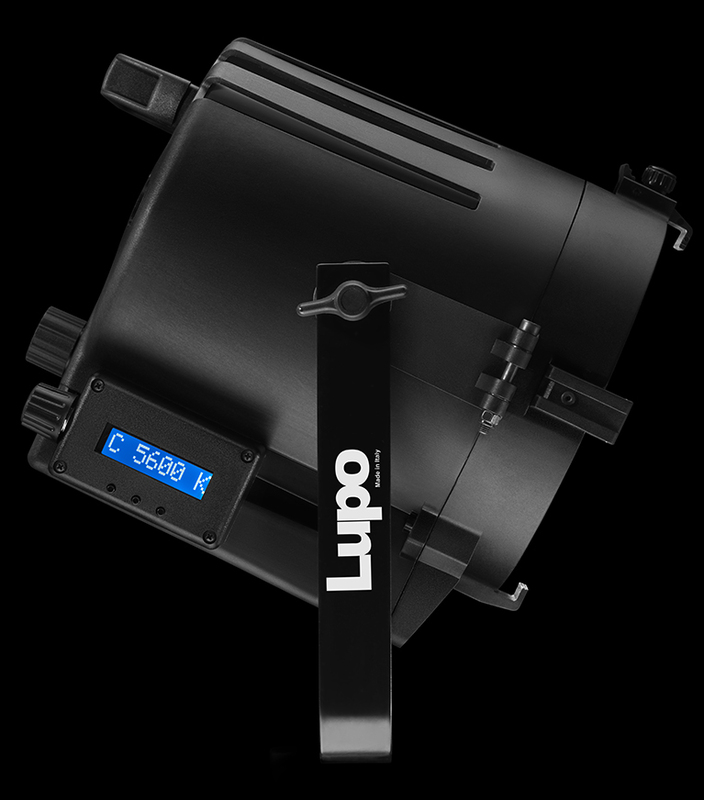 At the same time, however, LED technology allows incredibly superior versatility: dimmer 0% — 100% in manual or DMX, variable color temperature in manual or DMX, mains or battery use, no heat output, remarkable energy savings. The extreme lightness (just 3.5 kg in weight), along with the ability to power them on a battery, makes the Dayled 1000 particularly versatile and suitable for video shooting in any condition. Flicker free technology allows you to use Dayled LED Fresnels for video recordings with high-speed camcorders. Variable color temperature (from 3200 K to 5600 K). The luminous intensity adjustment of the Dayled LED Fresnels can be made through the manual dimmer, placed on the side of the fixture, or remotely via DMX control (integrated). The digital display allows you to see the brightness level at which the illuminator is set. The colour temperature remains constant and accurate during the variation in intensity and it can be adjusted manually through a knob that allows an easy setting of any Kelvin value between 3200 K and 5600 K. Color temperature can also be adjusted through a DMX control desk. You will have no more limitations. 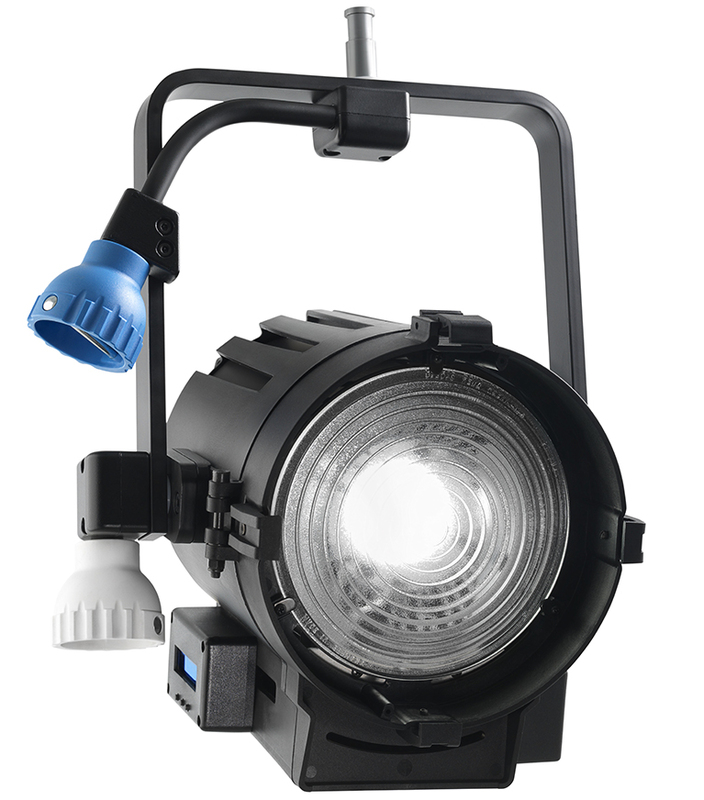 All Lupo LED Fresnel lights can be used with the mains (universal 90 V — 240 V) or battery (14.8 V — 28 V, depending on the model). The fibre reinforced technopolymer structure makes the Lupo LED Fresnels practical and handy both for transport and for use. 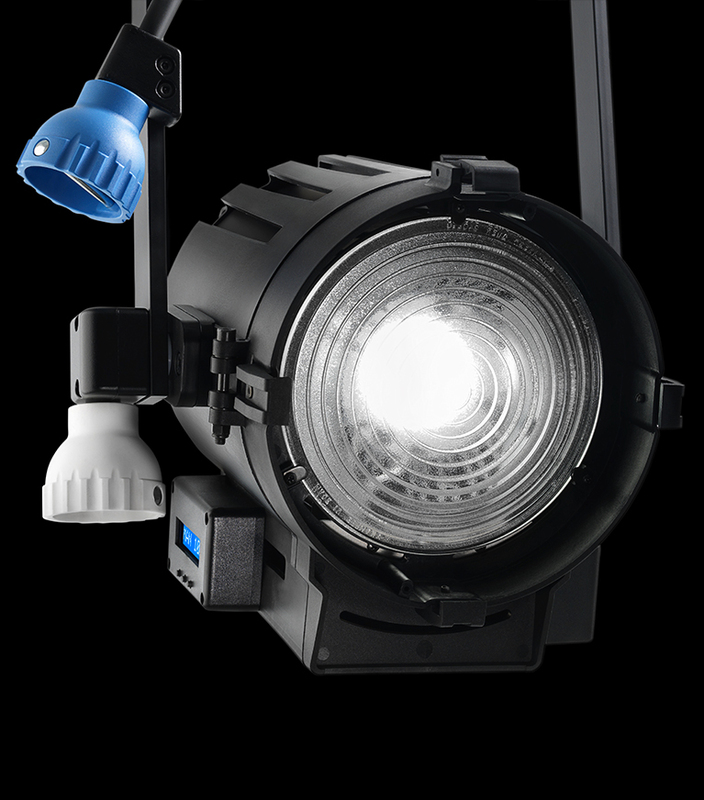 Lupo offers a range of battery powered accessories for all Dayled models and all other LED Fresnels and LED panels. You will not have to worry about anything and you just have to choose the battery kit that includes: a 95 Wh battery, a v-lock plate for Dayled 1000, a dedicated charger and a d-tap cable. Of course, all of our models are compatible with the best lithium batteries on the market, but with Lupo accessories we guarantee a practical, economical and professional solution. The Dayled 1000 Dual Color is sold with barndoors included in the box. The filters and the coloured gels can be fixed on the practical inserts on the barndoors of the LED Fresnels of the Dayled range. Using the mechanism for the spot or diffused light (in all the Lupo LED Fresnels) together with the barndoors, it is possible to accurately modify light. 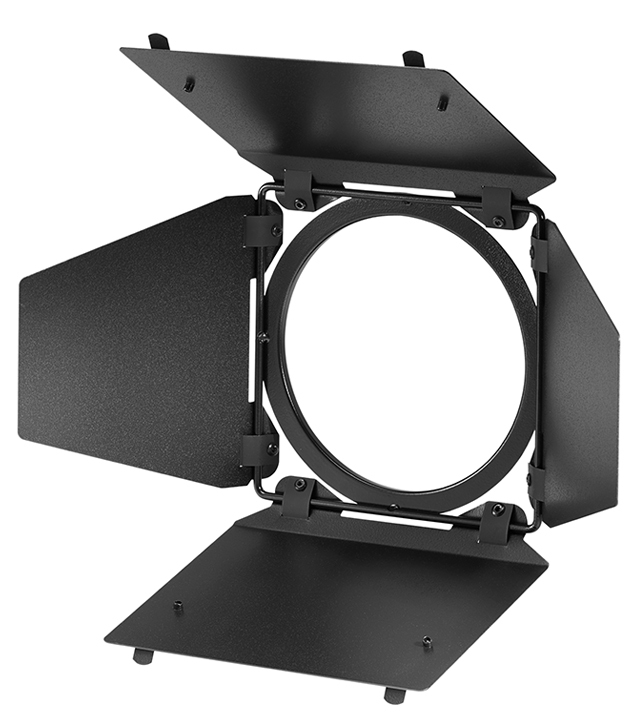 Unlike other similar products, the Dayled range models are silent and suitable for video use. With the Dayled 1000 Dual Color you will have no hassles and you can use it any time and in any condition. The carbon fibre reinforced technopolymer body guarantees high resistance to any type of use whilst allowing the entire equipment to be carried in a practical and handy way. Lightness, mains or battery usage and robustness will allow you to no longer have limits. The Dayled 1000 Dual Color, like all Lupo LED Fresnels, features exceptional colour rendering and absence of casts, thanks to the use of next-generation COB LEDs with exclusive True Colour technology. Lupo LED Fresnels have CRI values (colour rendering index) between 92 and 98 (depending on the model and colour temperature) so the colours in the shooting remain perfectly balanced and without unpleasant casts typical of non-professional LED lights. Available in pole operated version. All Lupo lighting products are available with pole operated yoke (pan, tilt, focus) for use in television studios of all sizes. The functioning of the Dayled 1000 pole operated yoke is simple, effective and reliable over time. All models with pole operated yoke are supplied with a 28 mm spigot. 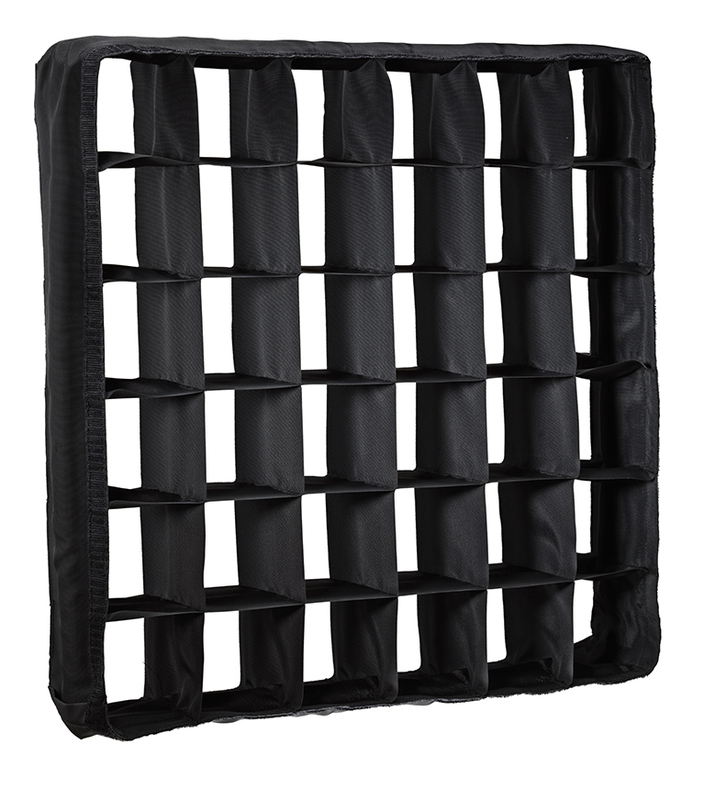 All Lupo products are compatible with a wide range of accessories: batteries, v-lock plates, battery chargers, softboxes, carrying cases, tripods and clamps. By clicking on the link below you can see the full range of accessories for Dayled 1000 Dual Color.